Considered as the mother of all classical dances in India, Bharatanatyam is the oldest form of classical dances that originated in Tamil Nadu. It is mostly a solo dance performed by women/ men for a story based on Gods or Ramayana or Mahabharata. The dancers are accompanied by their teachers or guru and a singer along with the music. 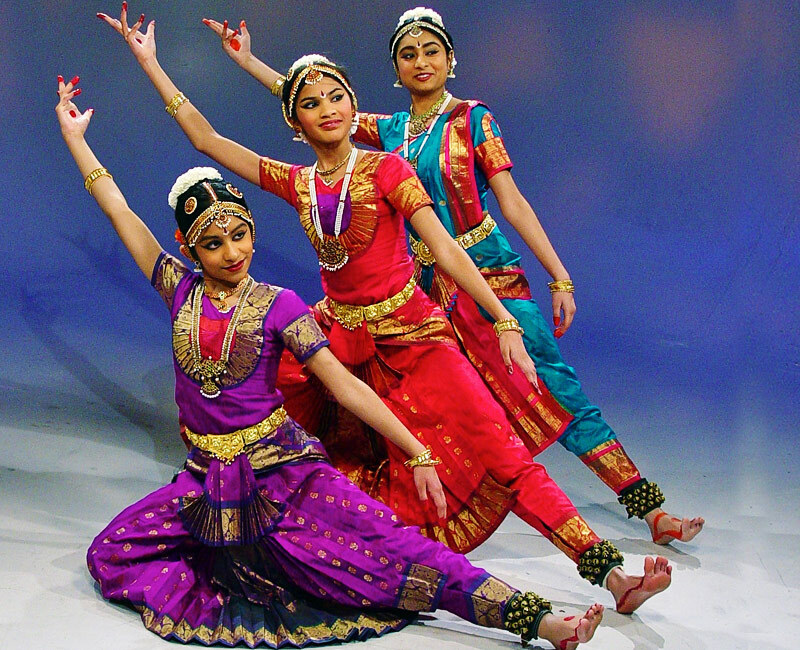 The dance includes three forms Nritta, Nitrya and Natya. Some of the instruments that are used while performing are Flute, Violin, mridangam, nadaswaram and veena. The vocalists or the singer is called as nattuvanar. The verses are usually in Outh Indian languages of Kannada, Tamil Telugu and Sanskrit. Nritya: This dance form includes slower movements along with facial expressions. Natya: it is basically a group performance but can be performed by solo dancer. The dancer uses different body postures for different characters. The dance begins with a prayer to God, later different sequences of the dance begins like Alarippu, Jatiswaram, Shabdam, Varnam, Padam and Tillana. With the Tillana the performance also ends again with a prayer to God and thanking him. Bharatanatyam include various postures like Samapadam( where body and legs straight), Aramandi posture (half sitting till knees) Muzhumandi ( the dancer sits down completely )and Swasthika are some of the important postures in Barathanatyam. The dancers are given extensive training to show the expressions and give best performance. The basic four aspects of performance are Angika ( body movement) Vachika (music recitation) Aharya (costume) and Sattivika (emotional attachment for the story). Bharatanatyam uses various symbols or mudras. There are approximately 55 mudras to express various emotions and feelings in the performance. Music is in Carnatic style. The singer or the vocalists is called as nattuvanar. The singer may be guru of the dancer. The song can be in Tamil, Telugu, Kannada and Sanskrit. the instruments used are mridangham, nadaswaram, flute, violin, veena and cymbals. The dancers wear a heavy saree with lot of makeup and jewellery. The saree is stitched with pleats which come in front of the dancers. These pleats not only help the dancers to move their feet comfortably but also looks beautiful when legs are stretched. The jewellery includes anklets, ghungroo, necklace. Hands and foot of the performer are coloured with henna or Kumkum. Her hair is neatly plaited and decorated it with lot of flowers. The dance includes extensive foot and hand work along with facial especially eyes expressions. We can say that it is a combination of four elements music, expressions, beats and dance. Some of the famous Indian dancers in this form of dance are Uday Shankar, Mrinalini Sarabhai, Mallika Sarabhai, Sonal ManSingh and many more.